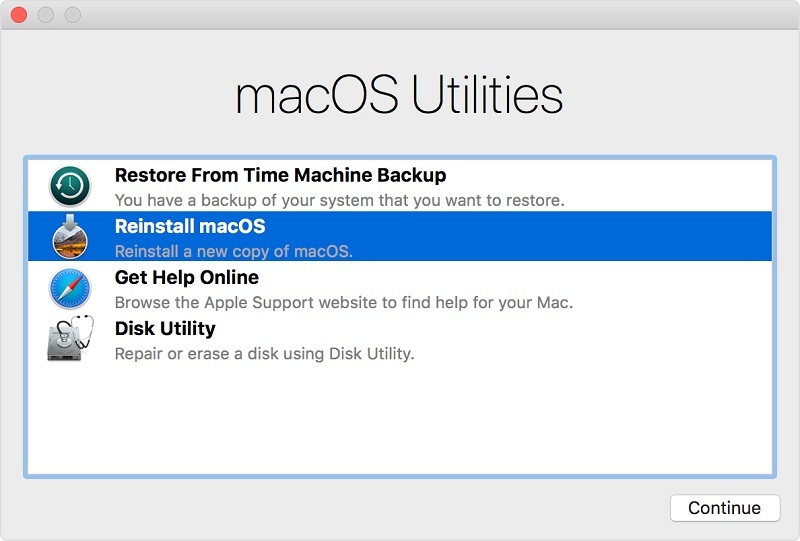 If you are facing issues on your Mac and you have concluded that a fresh install of the operating system is required, you can use the Internet recovery Mac to install a fresh version of the macOS on your machine. 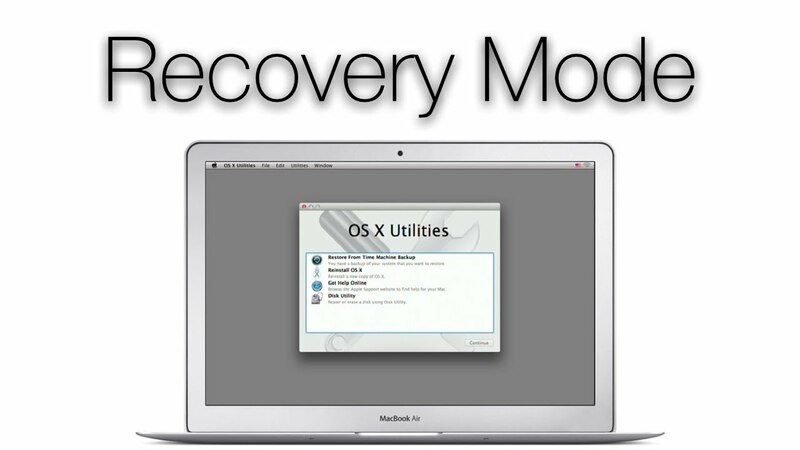 While you can install macOS from the normal recovery mode as well, using the MacBook Internet recovery has its own advantages which you will find out in the rest of this guide. The following guide shows how you can go about starting Internet recovery on your Mac, so you can get rid of the content currently stored on your machine and install a new version of the operating system. Let's check it out. Part 1. How to Start up Mac In Recovery Mode? The first thing you will want to do is learn how you can boot your machine into the Internet recovery mode. It's easy to get your Mac into this recovery mode and you don't need a third-party app or tool to get the job done. The following is how you do it. Step 1. Reboot your Mac by clicking on the Apple logo at the top-left corner of your screen and selecting Restart. Step 2. When your Mac restarts and plays the startup chime, press and hold the Command + Option + R keys combo. Step 3. Wait for a few seconds and you will see a message on your screen that says the recovery mode is loading. Step 4. Choose your WiFi network from the list and connect to it using your password. Step 5. Once connected, choose the Reinstall macOS option from the options available on your screen. The Internet recovery mode will reinstall the entire macOS operating system on your machine. When it's done, you will have a fresh version of the macOS running on your machine. When it comes to using the Internet recovery mode on a Mac, users often have many questions as to what they can and cannot do in this recovery mode. Especially if you have never used the mode, you wouldn't know what all it has for you in store. We have put together some of the frequently asked questions about the Mac OS Internet recovery mode along with their answers, so you get to know this mode a bit better than what you do right now. Q: What are the Differences between Internet Recovery and Regular Recovery? 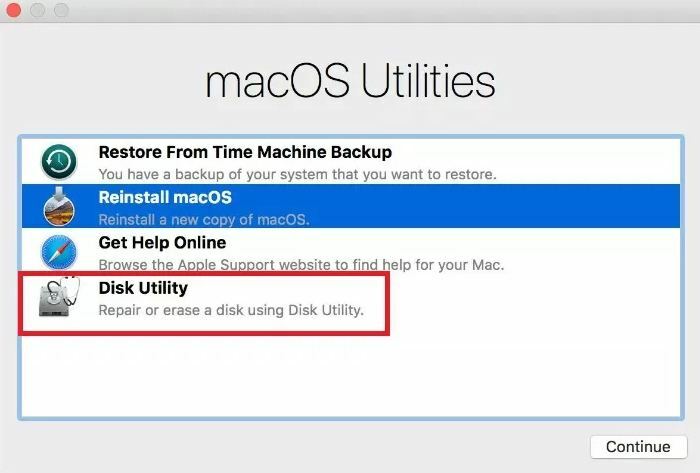 A: The main difference between the Internet recovery and the regular recovery is that the regular Mac recovery mode is loaded from a disk on your machine whereas the Internet recovery options are loaded from Apple servers. The Internet recovery will only let you install the version of macOS that came preloaded on your machine whereas the regular one will let you install any version on your machine. You need an active and stable Internet connection to be able to use the Internet recovery and such is not the case with the regular recovery. Q: When to Use Internet Recovery? A: You should use the Internet recovery mode on your Mac when the regular recovery fails to load. Q: What You Can Do In Internet Recovery Mode? A: The Internet recovery mode brings with it the same set of options that the regular recovery does. You can use the recovery to reinstall macOS, use the Disk Utility features, and so on. Q: Does Mac Internet Recovery Delete Files? A: Yes, it does delete some of the system files on your Mac. If you did not know about it before and you have already lost your files, you may use a data recovery software to recover your deleted files. Tenorshare UltData - Mac is a highly recommended program that will help you recover data on your Macs regardless of how you lost the data. Whether it was due to reinstalling the macOS or you accidentally deleted a file, the software has the capability to help you recover your lost data on your machine. Learn more about how to recover deleted files on Mac. Q: What to Do If Mac Internet Recovery Not Working/Fails? A: There are many reasons as to why the Internet recovery may not work. Since the recovery uses your Internet connection, ensure your Internet is working and is stable. Second thing you may want to check is the status of Apple servers. If the servers are down, you will not be able to reboot your Mac into the Internet recovery mode. If the Internet recovery does not work at all, you may use the regular recovery to perform your desired tasks. We hope the above guide teaches you how to boot into the MacBook Pro Internet recovery mode and reinstall a fresh version of the macOS on your machine. It also answers some of the questions related to the recovery mode.